Elegant, sunny and airy home in the heart of the city located in a silent street. Close to the Nyugati railway station and just a couple of minutes away from the Danube. 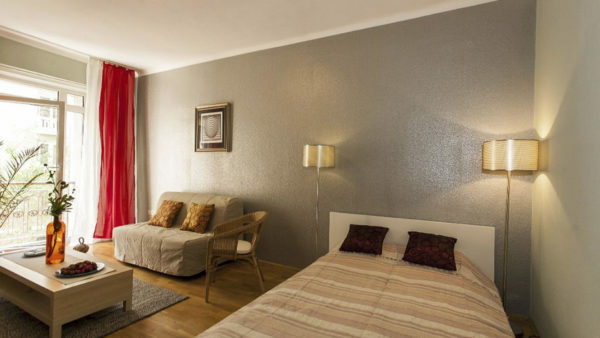 This well-equipped 2 bedrooms flat with good layout is the ideal accomodation for families and friends. Kitchen, bathroom with tub, TV, WiFi, washing machine are at your service. 10 minutes walk away from the flat, there is that famous property Freddy Mercury wanted to buy when he once visited Budapest. This beautiful and huge building with a view to Buda is mentioned by all guide books and is – the Parliament 🙂 But don’t stop here, walk along the galleries and antique shops of the Falk Miksa street (check the statue of detective Columbo), then enjoy the green of Margitsziget, or walk over to the Buda side, where the Castle, the Fisherman’s bastion, baths, museums, cafés and restaurants are waiting for you. Sheets, bed linen, towels, hair dryer are provided. Cheap airport transfer or parking possibility is available, reservation needed. Baby bed and high chair upon request.